The following appeal has been written in Japanese by a Japanese-American to explain why Julien Blanc and his ilk should be banned from Japan. The Kyoto District court dismissed the case of a 40-year-old male who sued Internet search giant Yahoo! Japan for defamation because his name and articles concerning his past arrest showed up on the search engine. According to court documents, the man was arrested for violating the ordinance against disturbing the peace in 2012 and was found guilty in April 2013, according to the Mainichi Shimbun. A quick Yahoo! Japan search of his name reveals past news articles concerning his arrest. Presiding judge Akiyoshi Tsugamura said, “Yahoo! is just automatically showing they whereabouts and existence of the websites that have the man’s name on it and a portion of the article through its search results. They’re not stating the fact of his arrest themselves.” He also did not recognize the man’s claims as an infringement of human rights. The man argued that he only carried out a minor crime, and the display of his arrest record in the search results would harm his chances of getting reemployed. The man appealed the Kyoto District’s Court verdict at the Osaka High Court on August 14th, according to the Yomiuri Shimbun. Yahoo! 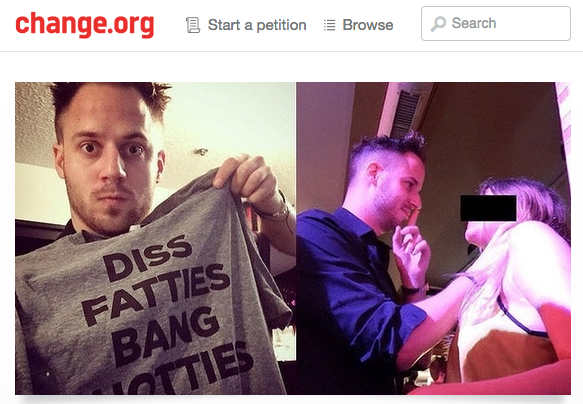 Japan isn’t the only search engine to find itself handling defamation lawsuits. Last April the Tokyo District Court recognized a lawsuit from a man who claimed that Google’s autosuggestion function fell under defamation. The court ordered the company to pay the man 300, 000 yen in damages. However, the Tokyo High Court overturned the verdict in January of this year. 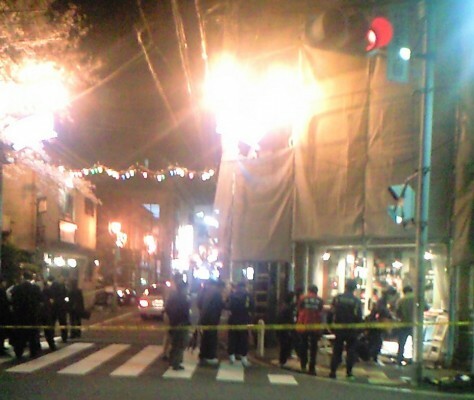 A 15 year old girl was arrested Sunday by the Nagasaki Police on suspicion of killing her high school friend. The 16-year-old girl*, who can’t be named under Japanese because she is a minor, allegedly used a blunt instrument to kill Aiwa Matsuo, a fellow classmate, aged 15. The murder took place around 8 p.m. Saturday. The assailant allegedly attacked Ms. Matsuo from behind, pummelling her head several times with extreme force and then strangled her to death. 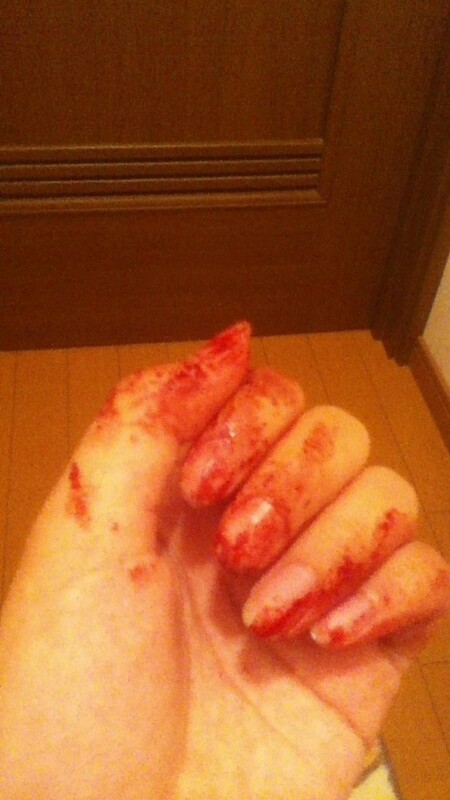 The assailant then cut off the left hand and the head of Aiwa. It was a horrific crime and the Japanese media coverage has been relentless in letting us know how horrible it was. For details see The Japan Times article Sasebo teen held for allegedly strangling, decapitating friend. The initial reports that the assailant posted pictures of the murder on 2 channel, Japan’s favorite on-line bulletin board and gossip site, appear to be false. The time the pictures were posted and the accompanying text seemed to suggest that the killer posted them but cyber sleuths and a police source says that this is very unlikely. However, in the maelstrom that a gory murder case brings to Japan, for the time being, “decapitation” trumps verification every time. Which is why, even I wouldn’t rule out the possibility that the photos are real—but I really doubt it. *The assailant was 15 when she committed the murder and when she was arrested. She allegedly turned 16 on Monday and spent probably a very unhappy birthday in a holding cell. In the grisly murder of a 15 year old girl by another classmate, this photo was reported to have been posted online by the killer. It seems unlikely this is true. There are very few gaijin (foreigners) who know what happens on the dark side of the rising sun like Robert Whiting. Whiting is an American author and journalist living in Japan, one of the rare ones who has written great books published in both English and Japanese language after he first set foot in Japan in 1962, when he was 20. His most popular book, Tokyo Underworld: The Fast Times and Hard Life of an American Gangster in Japan, published by Pantheon, N.Y. 1999, and Vintage Departures, 2000, has been optioned for being made into a major motion picture several times but still hasn’t made it to the silver screen. It’s not surprising that the book would appeal to Hollywood. The main protagonist in the book seems to pop out of a movie! But he isn’t, Nicola Zappetti, aka “The Mafia Boss of Tokyo,” an Italian American GI whose pizza restaurant in Roppongi became the informal headquarters of the Tokyo underworld, really existed and lived in the country where you would think modesty and order reign. Whiting’s book while revolving around Zappetti, openly draws out the influence of the yakuza on Japanese society and politics. He illustrates historical facts by including Nick Zappetti’s encounters with some of the most intriguing Japanese figures, who brought Japan to become the world’s second largest economic power after the United States. He creates a great visual and fascinating world no one would imagine that modern-day Japan would emanate from. Tokyo Underworld was translated into Japanese by Midori Matsui, at Kadokawa Bunko. The book illustrates the genesis of the so-called keizai yakuza, or “Economic Yakuza,” the ones who intelligently mutated into financial wizards spurring the creation of new anti-mob laws in Japan—which also spurred more of the white-collar yakuza to go into finance. In Tokyo Underworld, Whiting explains how Japanese criminals, even suspected class A war criminals such as Yoshio Kodama, could escape execution, unlike the other war criminals, such as Hideki Tojo, the general of the Japanese Imperial Army who was directly responsible for the attack on Pearl Harbor. Because the U.S. Occupation authorities needed to trade information about wartime government figures wanted by the GHQ (General Headquarters) to counter the growing leftist movements in Japan, the most vicious mob members were able to deeply root their organization in the structure of Japanese society. The Americans declared that all foreigners in Japan, whose native country was a Japanese colony before the end of the Pacific War would not be punished under the law, which was one of the reasons why the Korean community couldn’t be controlled by the Japanese police. The police thus made an unofficial agreement with the Japanese gangsters to keep the order. Whiting tells the story of how the most vicious of all Japanese worked hand in hand with their occupants. The book aims to trace the history of organized crime in Japan, and document the transition from the postwar Japanese gangsters to the “new breed” generation of gangsters, which inevitably mixed with the American culture, military, and politics, during the Occupation. The book recollects many shady incidents and thus explains the moment when two or more cultures clash in an occupied territory. That’s when most improbable things happen. But they did happen, and that’s why the nonfiction genre fascinates us at time. Truth is often more interesting than fiction. True stories may not always be stranger than fiction but it sometimes they are much more fascinating than what never happened. 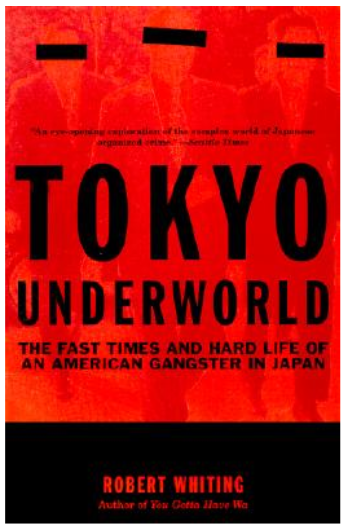 “Japan has the most honest used car salesmen in the world along with the most crooked politicians, and Zappetti’s story explores that conundrum,” The New York Times wrote in its review of Tokyo Underworld. Indeed, the Japanese are proud that their country appears to have one of the lowest crime rates in the world. At the same time, Japan has history of entertaining tacit interactions between some segments of its society and the underworld. Japan’s organized crime is still evolving. The gangs used to cooperate with the police in containing street crime and informing on each other. Some experts saw the new 1992 anti-gang laws as the beginning of a “mutually beneficial relationship” between the police and the yakuza, although their increasing involvement in legitimate businesses clearly became a serious concern for many Japanese. However, the law never officially made yakuza gangs illegal, and the smart mobsters, like mutating cockroaches, recycled their activities using dummy front companies to operate their vicious attempts to countermeasure the newly passed laws. Currently, crime experts believe that the yakuza will continue to conduct their affairs in an even more covert manner. Japan’s economic growth was largely attributed to the power of the United States. “America will always be Japan’s oyabun, (father figure or godfather),” a retired yakuza boss recently commented to this reviewer. Tokyo Underworld also recollects how the occupants helped the Japanese economy to become the world’s second largest in only a few decades. The rules and the laws, dictated by the Americans, made sure that the Japanese businesses would always win, as Zappetti learns towards the end of his years. Robert Whiting is one of the top American nonfiction writers on Japanese subcultures and history. Tokyo Underworld documents historical facts. 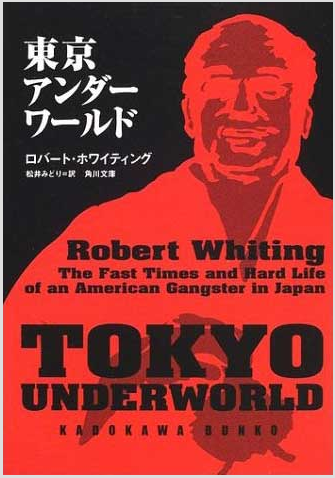 Robert Whiting translated himself most of the Japanese news articles and he conducted nearly 200 interviews with various sources and began meeting Nicola Zappetti in the fall of 1989 until his death in 1992, including his friends, family, business associates and enemies. The book is great work of investigative non-fiction. While the book tends to be stuck in the true crime section, it is a wonderful sociological study of Japan, and may even be useful for the foreign businessmen. Tokyo Underworld explains deftly just how hard it was for a foreigner to start a business in Japan and keep it running. While Tokyo Underworld rests in development limbo, Linson Entertainment and Silver Pictures are producing “The Outsider,” directed by Takashi Miike, starring actor Tom Hardy, who will play the role of an American expat in Japan who becomes a yakuza after WWII. The project is based on an original idea by John Linson, who will produce along with Art Linson through their Linson Entertainment banner according to Deadline. The story for the movie, although it is a fiction, seems similar to Nick Zapetti’s biography, as reported in Robert Whiting’s Tokyo Underworld. Zappetti was never a yakuza but perhaps his heart became tattooed over the year. Robert Whiting, in his early career wrote about the Japanese society seen through baseball, the American sport adopted by the Japanese, sometimes called 野球 (yakyu). Many still say that the best way to understand Japan is to read his classic about Japanese baseball, You Gotta Have Wa. It’s clear that Mr. Whiting knows a lot about Japan and about baseball. Tokyo Underworld, as a work of non-fiction narrative is a home run with all bases loaded. Highly recommended. Tokyo Vice: An American Reporter on the Police Beat in Japan, by author Jake Adelstein was never published in Japan because it names a promiment Japanese entertainment firm as a yakuza front company and touches upon other taboos, like the murder of Juzo Itami, the movie director who directed Minbo no Onna (The Gentle Japanese Art of Extortion) . After the release of the film in 1992, members of the Yamaguchi affiliated Goto-gumi, unhappy with the portrayal of the yakuza in the film, conducted an attack against Itami, slashing his face and beating him up in front of his house, six days after the movie release. In 1997, Itami was found dead after falling from a high building in Tokyo. The Japanese police officially reported that he committed suicide, however his death is alleged to have been murder under the guise of suicide, purposed to prevent him from making another yakuza movie illustrating the links between organized crime, Sokka Gakkai, and political parties in Japan. On June 8 near Akihabara station, seven people were killed and ten others injured in a random act of violence committed by a troubled young man. The suspect had rented a van, purchased a knife, and driven to Tokyo in order to kill strangers indiscriminately, perhaps to express his unhappiness and desperation. TMPD at a crime scene from long ago. Continue reading Akihabara Massacre: Preventable Tragedy? Posted on September 24, 2008 Author jakeadelsteinCategories Dark Side of the SunTags Akihabara, crime, kill2 Comments on Akihabara Massacre: Preventable Tragedy? Tokyo Vice Featured on Australian ABC Radio International's "The Media Report"
Continue reading Tokyo Vice Featured on Australian ABC Radio International's "The Media Report"
Posted on June 27, 2008 Author adminCategories On the Record, Tokyo ViceTags adelstein, crime, interview, jake, Japan, mafia, media, radioLeave a comment on Tokyo Vice Featured on Australian ABC Radio International's "The Media Report"